This Thing Called Life! : Blog Candy! 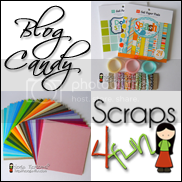 Blog Candy over at Scraps 4 Fun, go check it out and enter!! !